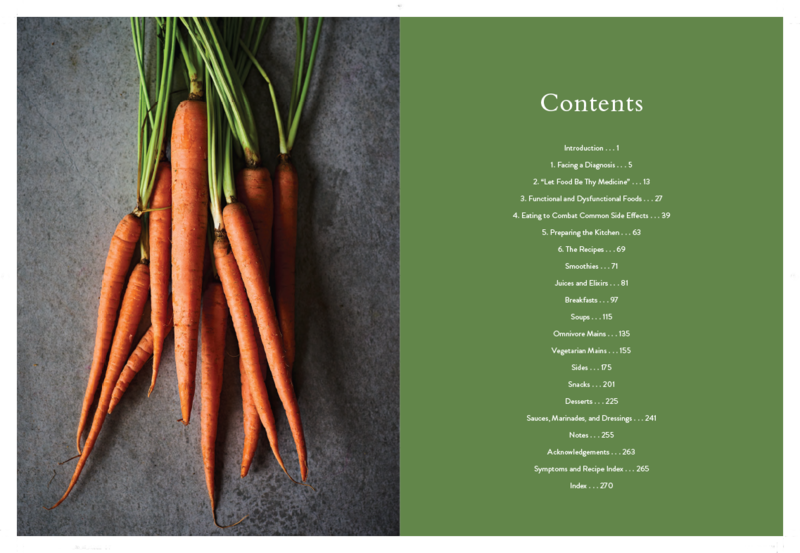 Our cookbook, The Living Kitchen, is now available for pre-order and will be in stores on January 22nd. Over the next several months we’ll be giving you lots of sneak peeks into the book so that you can learn more about what’s inside before the hard copy of the book arrives! When you pre-order the book, we’ll have bonus gifts for you that are only available before the book comes out! You can look forward to special recipes that are not available anywhere else and an exclusive webinar with us where we’ll share some of the most important information that’s in the cookbook. When we first started our company, Living Kitchen, we worked with many different health issues and illnesses from digestive imbalances to fibromyalgia and MS. After two years of cooking for clients and seeing the power of food to make a difference in how they felt, we began to see more and more clients with cancer. We both lost several family members to cancer in the past and from a young age we always felt that someday we wanted to make more of a difference. With cancer being so overwhelming and complex, we knew there was a place for us to help. Armed with our nutrition knowledge and cooking skills we started diving deep into the cancer field. Since 2012 we have seen some of our close friends, young friends in their 20s become diagnosed with cancer. It’s scary and confronting and it’s easy to feel out of control in a world where it seems like anyone can end up with a cancer diagnosis. We knew we could help by preparing healthy, comforting, delicious food- giving people this nourishing food during cancer treatment is one of the best ways to support and strengthen the body to get through treatment. Sharing our knowledge about nutrition, food and cancer is vital at this time and we want to reach as many people as we possibly can. That’s why we wrote The Living Kitchen and why we can not wait for it to be out there in the world. The Living Kitchen is more than just a cookbook. In the first half of the book we’ve written a detailed guide to understanding nutrition and cancer.